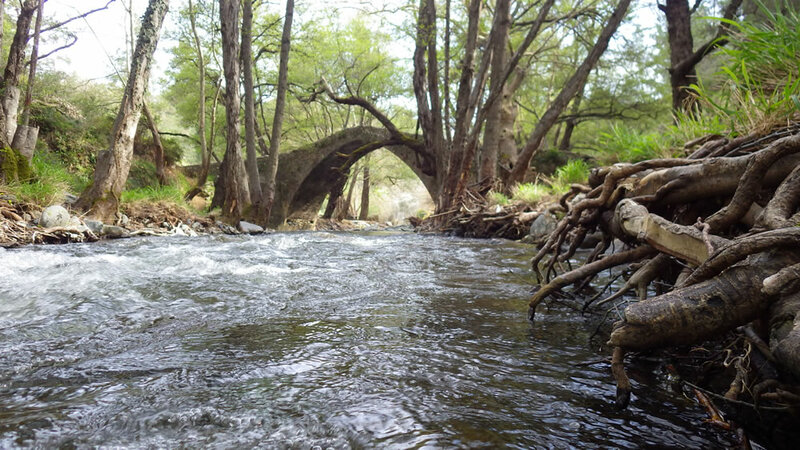 Akamas is a jewel of Cyprus nature. 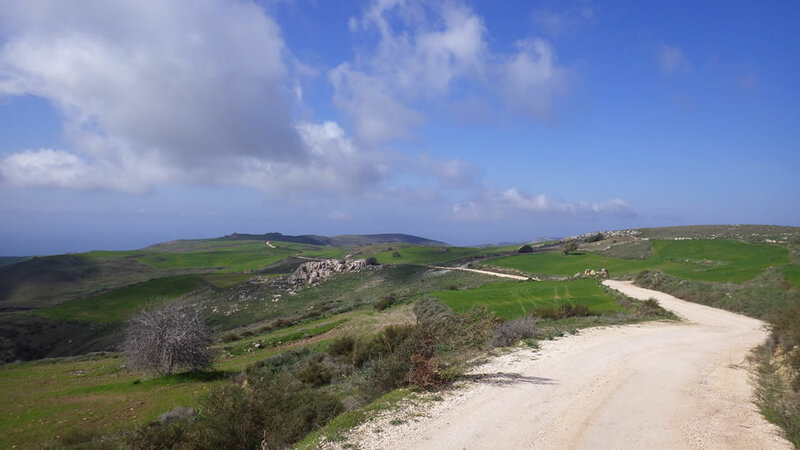 This is a two- days (one night) relatively easy walking trip along the route that we call Akamas Panorama and includes camping halfway on the itinerary. 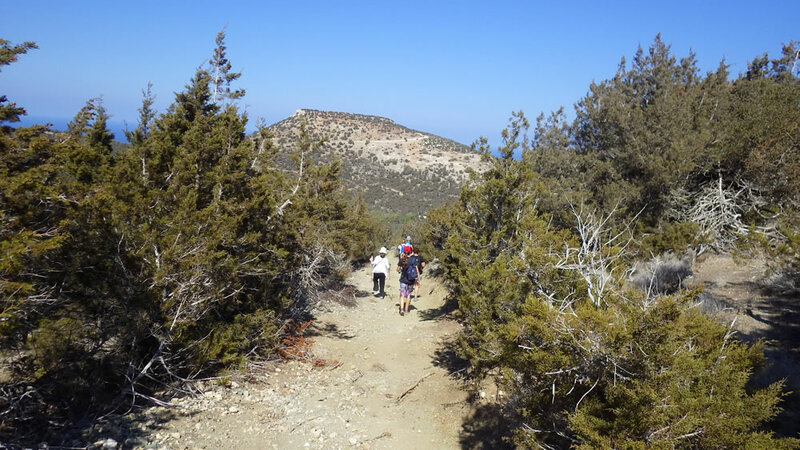 The walk is largely on the backbone of the peninsula, offering walkers stunning vistas initially of the west coast (Lara) and subsequently of the north coast (from cape Arnaoutis in the north west to Pomos village in the north east). Camping halfway (at Smigies picnic site - under permission by the relevant authorities) enriches the experience for travellers, providing further opportunities to immerse in beautiful nature, practice skills and bond with fellow travellers. 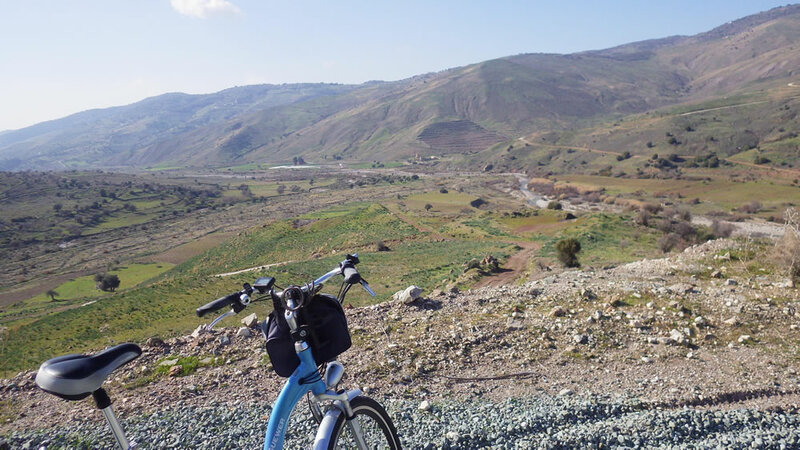 Optionally on the first day we can additionally do the circular Pissouromoutti walk, possibly around sunset, or even under dark (we can provide travellers with headlamps) enjoying superb panoramic views of a large part of Akamas. 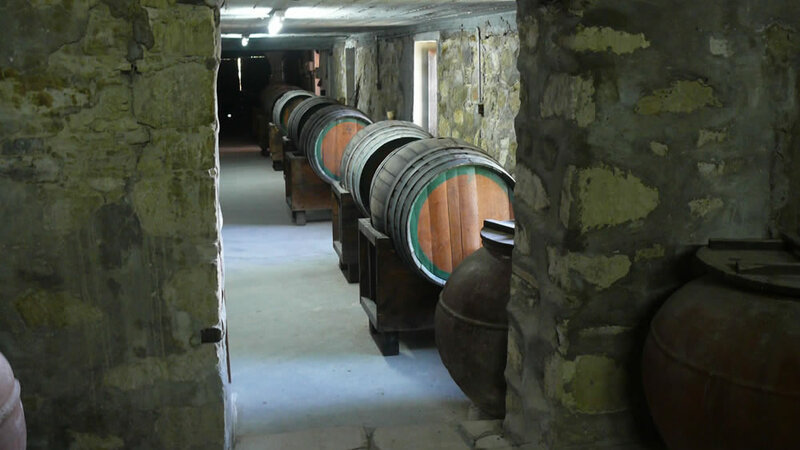 On Day 1 we start walking north into Akamas from picturesque stone-built Drousheia village. For a large stretch of Day 1 walk travellers enjoy excellent views of Lara coastline. Day 1 walk, along part of E4 European long distance walking route, is about 10 km long and finishes at Smigies picnic site, where we have permission to camp. 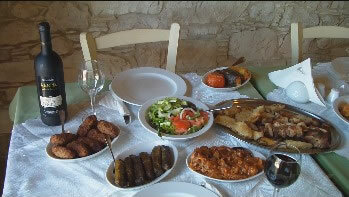 Our tents and relevant equipment as well as dinner will be transported to us. Those who like to, after some instructions, can try to put their tent themselves, otherwise we can do it for them. Agios Minas chapel, what remains from a medieval monastery is a few hundred meters from Smigies. Optionally from Smigies we can take those interested on a 3-km circular walk around Pissouromoutti peak, from where travellers can enjoy superb vistas of the west coast, as well as to the Chrysochou Bay (and towards Droushia village in the south). ​On Day 2 our walk starts at the Smigies picnic area and goes north, all the way to the coast. It merges stretches of E4, Smigies trail, Adonis trail and Aphrodite trail. It passes by the remains of another medieval monastery in Akamas and an ancient oak tree. 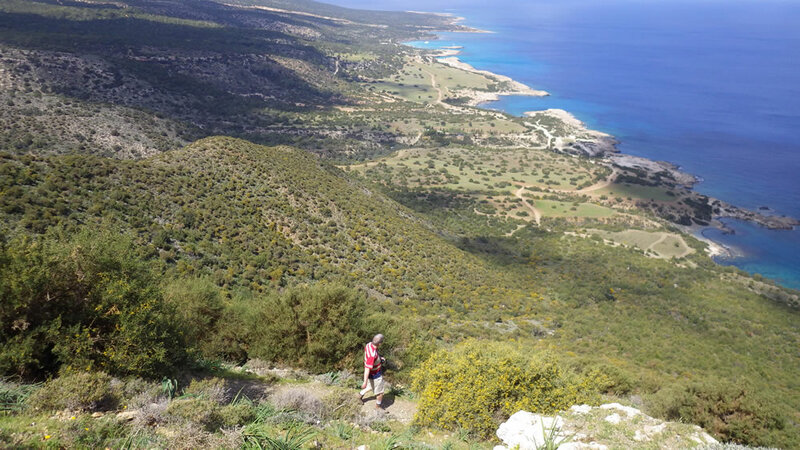 The walk offers incredible vistas of the coast, especially to the north of Akamas. The vegetation is dominated by juniper bushes. 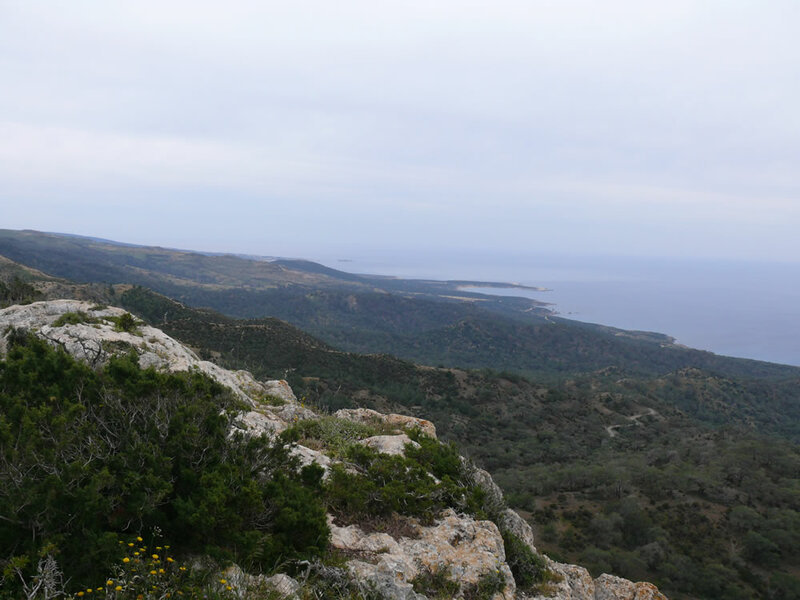 The high point of the walk is probably a stop at Moutti Tis Sotiras peak, from where the views are breathtaking. Walkers also pass by an abandoned monastery. 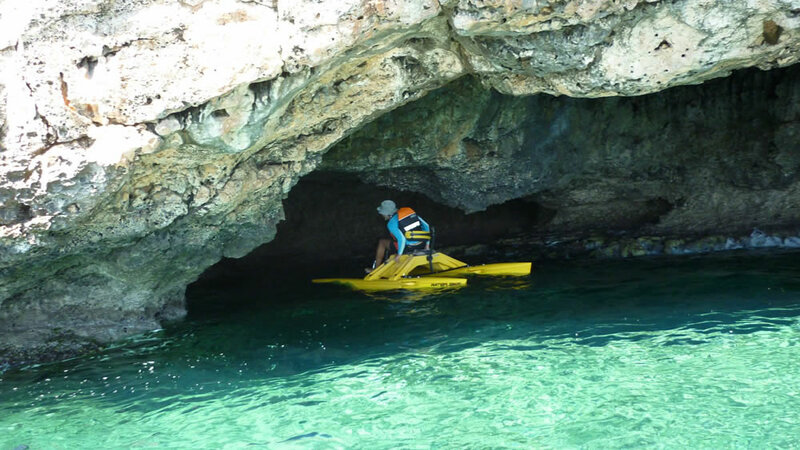 The walk is about ten km long and finishes at mythical Baths of Aphrodite cave. We typically offer packages for between four and ten people (under request we can offer prices also for fewer than four people. We are not allowed to provide camping for more than ten people each time). Prices vary depending on the number of participants, from 280 Euro per person down to 170 Euro per person. These prices assume double occupancy (if the number of participants is odd, we assume that only one participant will stay on her own in a tent). There is a surcharge of 15 Euro per (every extra) participant staying on her own in a tent.